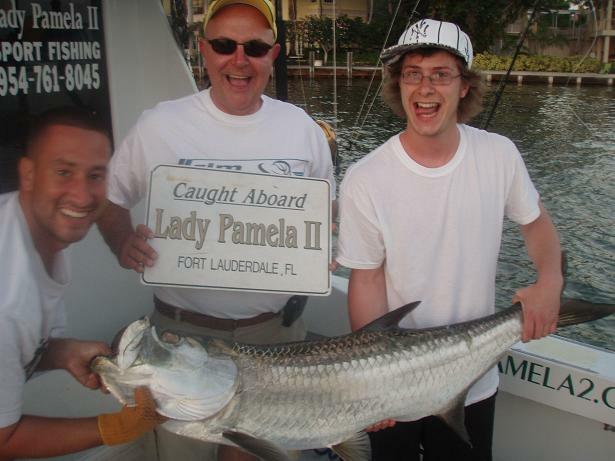 Fort Lauderdale and Miami inshore Tarpon Fishing is an experience like no other. South Florida is known as one of the top-rated areas in the world to catch Tarpon. 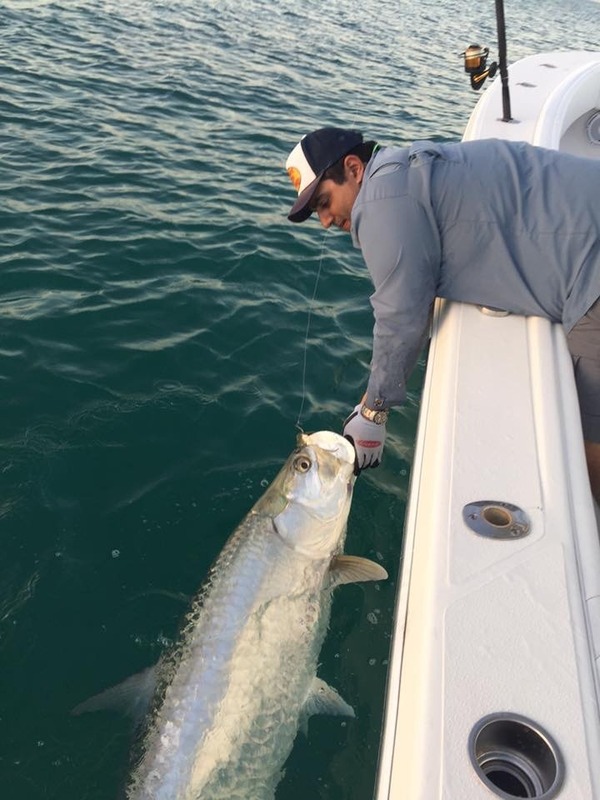 Tarpon, also referred to as the “Silver King,” is one of the largest marine game fish and one of the most powerful fish, pound for pound, in the world. Not only are Tarpon strong fighters, they are impressive and acrobatic jumpers. On just about every hookup, these fish provide gill-rattling jumps and long reel-screaming runs to get the adrenaline pumping. There is nothing like a healthy 100 pounder clearing the water by eight feet. No matter the expertise of the fisherman, Tarpon fishing is a rush every time. 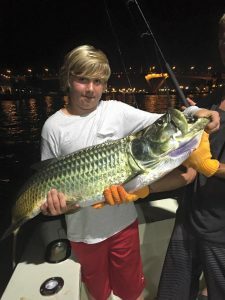 As an experienced Tarpon fishing captain, Captain David Ide and his crew are able to teach the techniques for successful Tarpon fishing and ensure every angler is able to enjoy the excitement that comes with hunting down the giant Florida Tarpon to winning the fight. It is exhilarating for the angler and Captain alike. Tarpon fishing has turned into an obsession for many anglers. 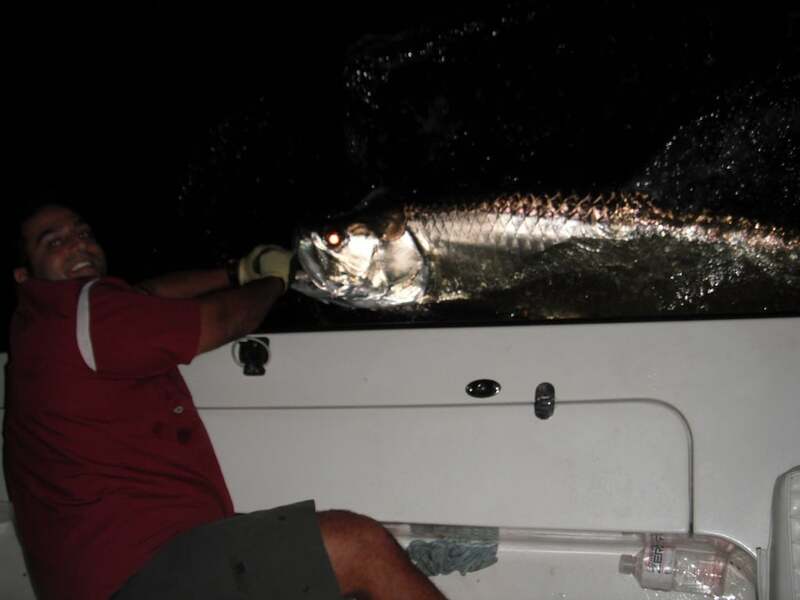 You might be asking yourself why Tarpon fishing is so addictive. 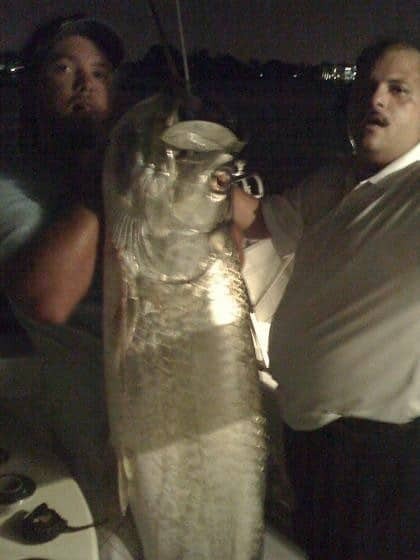 Tarpon can grow up to 200 pounds and are not easily taken. Tarpon tend to throw hooks more often that not and setting the hook is a difficult task. 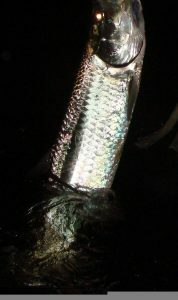 Tarpon boast a mouth with the texture and consistency similar to the surface of a cinder block. 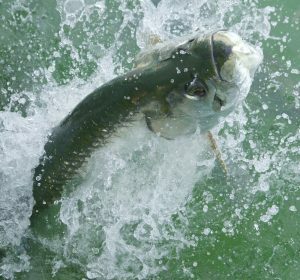 Between their violent head thrashing shakes and acrobatic jumps, landing a Tarpon is an experience that fisherman can’t get enough of. There’s your answer. Tarpon fishing has become a passion for many anglers and this is why they plan their whole year’s schedule around the Tarpon season. Rest assured that Captain David’s years of experience will guide and coach you for the entire duration or your trip. 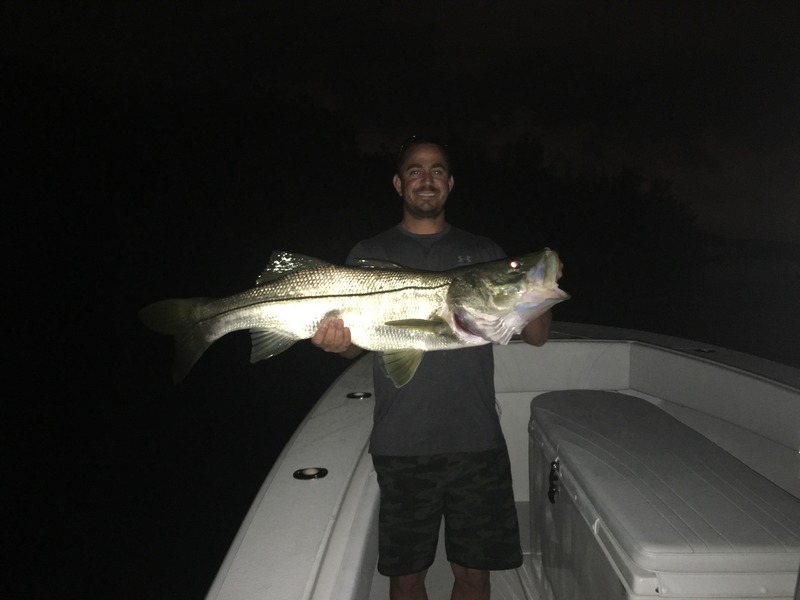 Tarpon trips are great if you or anyone in your party is prone to sea sickness, as we fish in protected inlet areas or the Intracoastal Waterway. 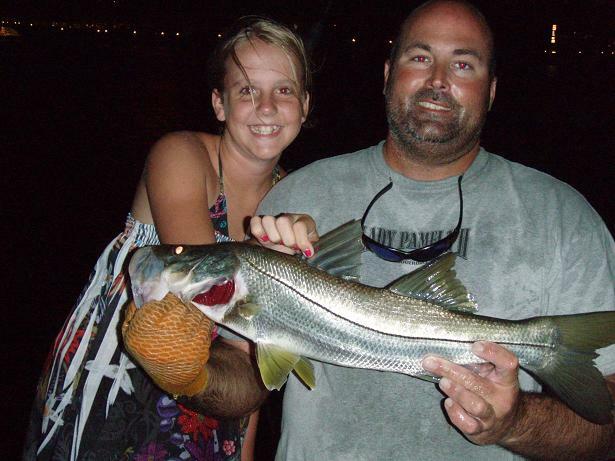 These are also great trips for kids to get an introduction to big game inshore fishing. Ask Captain David to put together the perfect tarpon trip so that you can be granted an audience with the Silver King.